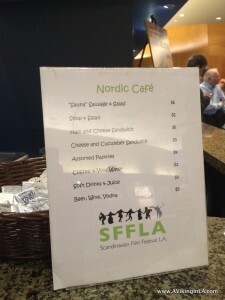 Every year I look forward to the Scandinavian Film Festival LA (SFFLA) with an odd combination of excitement and uncertainty. I’m always eager to watch a Norwegian movie or two in Norwegian, but I usually never know anything about the films that are going to be screened. Only one year was I familiar with one of the films. That was 2013, the year when Kon-Tiki had been nominated for a Golden Globe and it was on the Oscar shortlist for best foreign film. That year I attended the festival, even the opening gala and buffet, with great anticipation. As usual this year, I asked my parents if they knew anything about the Norwegian films, but they didn’t know much. When they go to see movies in Norway, they usually see American ones. There were many Norwegian films in different genres being screened this year: the documentary Optimistene (The Optimists), the movie Eventyrland (It’s Only Make Believe), Norway’s official Oscar submission 1001 Gram (1001 Grams), thriller Pionér (Pioneer), and crime thriller Kraftidioten (In Order of Disappearance). 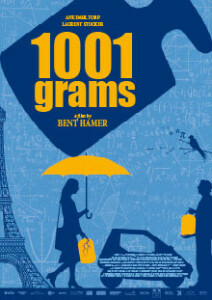 The only one they had heard anything about it was 1001 Gram. They thought they had heard it was good. That was enough for me to put it on my calendar. The festival is a low-key event. It takes place at the Writers’ Guild Theatre in Beverly Hills. There’s a cafe, Nordic Café, that offers some simple foods. I chuckled when I saw vodka (Finlandia) and Voss water on the menu. Sausages and open faced sandwiches were also offered. I became hopeful when I saw a sign advertising candy for $2, but I was disappointed when all I saw were Hershey bars. I was hoping for something more Scandinavian, like Freia Melkesjokolade or Laban Siegmenn. Those I would have happily bought. I settled for Voss water. 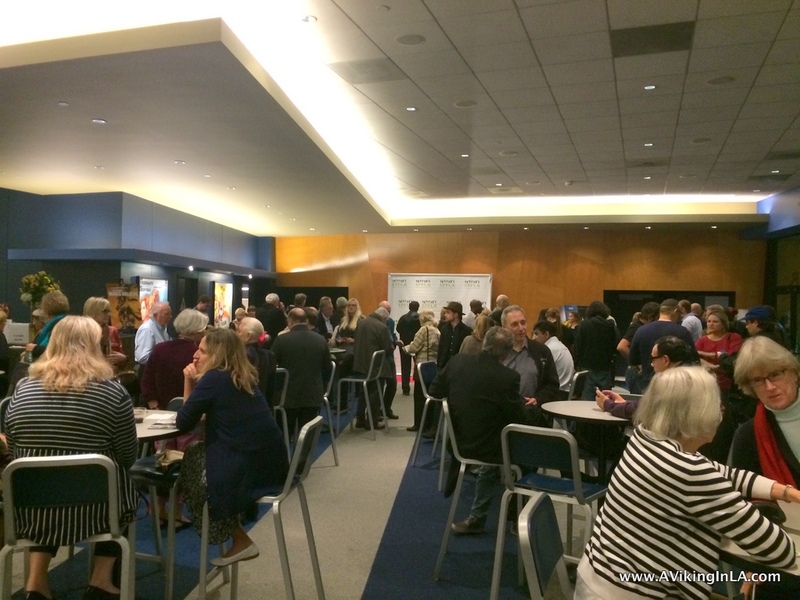 The lobby was quiet when I arrived, not quite what I associate with a film festival. People were sitting around chatting or on their phones waiting for the previous film to finish. When the auditorium doors opened and guests came out, however, there was an immediate change in energy. The Finnish film Heart of a Lion had just screened and the writer/producer, director, and an actor had done a Q&A afterwards. They started posing for pictures. I had flashbacks to the year I attended and saw Kon-Tiki. Now the festival had a much more festive feel. Finally, it was time for 1001 Gram to begin. I loved “being back in Norway”, seeing the landscape and hearing the language. This is why I make it a point to see a Norwegian movie during the festival. I hope to be transported back to Norway and feel Norwegian again. This movie had the added bonus of also taking place in Paris and being partly in French. I spent my junior year abroad in Paris and so I greatly enjoyed revisiting there as well. And the movie was enjoyable to boot. It was a quirky story of relationships (love and loss) and recalibrating one’s life after pieces have broken away. Thank you, SFFLA, for a lovely evening. I look forward to next year. Note: SFFLA 2015 continues the weekend of January 24 and 25. See the schedule here. Our Tropical Summer in Norway! This entry was posted in Film & TV, Los Angeles & Environs, Norwegian Culture and tagged Beverly Hills, film, SFFLA by Patricia Zanuck. Bookmark the permalink.